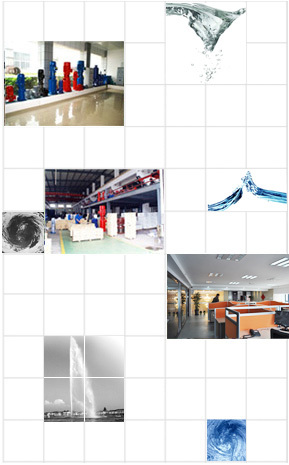 Shanghai Pate Pump Manufacturing Co., Ltd is a comprehensive joint venture dedicated to the R&D, manufacturing and sales of international high quality fluid industrial products. We trust the strength of scientific and technical innovation and explore and innovate on the basis of European and American products and technology continuously. In 2000, Pate Company successfully introduced multiple model and processing technology from German WEBER Co., Ltd. Through many years of assimilation, transformation and innovation, our products have been optimized continuously. Nowadays, we are developing highly efficient and energy saving pumps and striving to improve overall performance and efficiency continuously. We are always adept at innovation of science, technology and management and regard quality as the life of enterprise. We provide high quality pumps for users through perfect management system, leading pump technology and production process as well as advanced test system. We have important partners in almost all industrial fields like chemicals, chemical fiber, pharmaceuticals, papermaking, metallurgy, heating and ventilating, electric power, energy, environmental protection engineering and industrial auxiliary equipment and test each pump strictly. Currently, tens of thousands of Pate pumps are running well and trusted by many users. Our commitment and goal is to provide users with system solution from pump technology and model selection to high quality product manufacturing and professional after sales services so as to maximize user benefits. We combine all-round technology application knowledge and highly-efficient and rich production experiences with products perfectly and can provide appropriate products and perfect services to meet your requirements, regardless of complicated, varied and harsh medium. High performance, high quality and good sales and services are always our global strategy and policy.